The establishment of political and economic center in the west has immensely benefitted the region in terms of public infrastructure development. It has also led to urban migration and this influx of population in the region has contributed to the booming trading activities. Socio economically, western Bhutan fares well compared to eastern Bhutan. The western region has transformed beyond recognition over the last two decades. It is a moderate trek through the Sakteng Wildlife Sanctuary with a maximum elevation of 4100 meters. The sanctuary is home to the endangered species such as Himalayan red fox, red panda and the black bear. The region is popularly known as the valley of Yeti (the abominable snowman). Locals in the area claim the existence of Yeti however it is deemed a legend due to the lack of evidence to substantiate this claim. 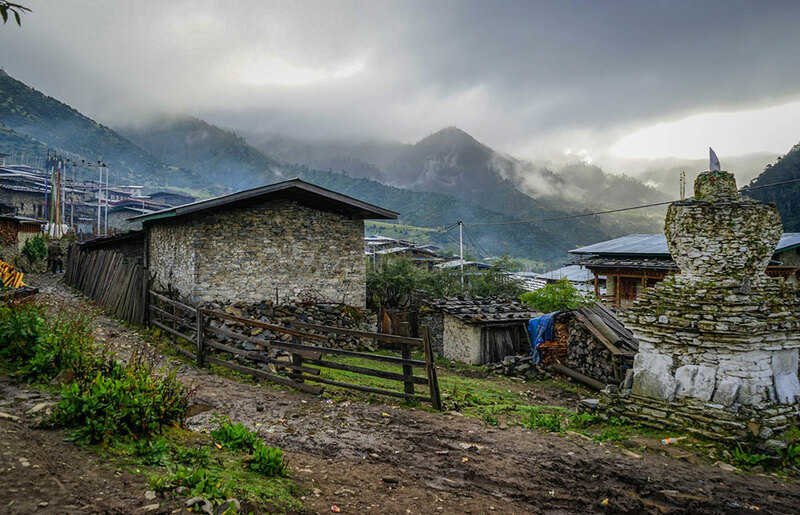 The highlight of this trek is the stop at the scenic Merak village. It is home to the semi nomadic indigenous people known as the Brokpas (highlanders). Settled at 3500 meters, the Brokpa’s livelihood is depended on herding Yaks. Some of the Brokpas still lead a nomadic lifestyle moving with their herd of Yaks and bartering to procure their needs. Fermented Yak cheese is a delicacy. Brokpas speak their own dialect and usually stand out with their unique clothing. Men wear a thick red wool coat and women wear a red and white striped dress. Men's outfit are further adorned with animal skins. Mornings in this village are truly magical. A settlement of approximately 30 traditionally built houses remains covered in the mist. Smoke rising through the roof slowly disappears into the mist. People sit around the fire to keep warm and a hearty breakfast is served with a yak butter salted tea. This experience is a true getaway from the modern world. Bumdeling is the Phobjikha Valley of the east. Like Phobjikha Valley, Bumdeling is also identified as an important bird area as it is the wintering site for the black-necked cranes. These birds migrate south in the winter before flying back to the Tibetan plateau early spring. The region also falls under the Bumdeling Wildlife Sanctuary. 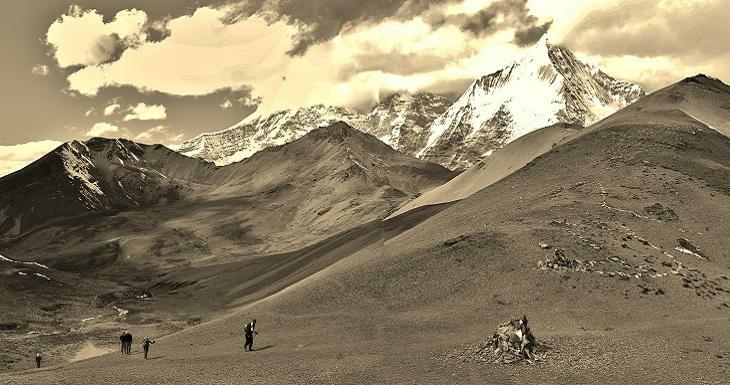 The sanctuary covers most of Tashi Yangtse District and it is home to endangered species such as the snow leopard, Royal Bengal tiger and red panda. 130 species of butterflies are known to inhabit the area. Blessed with rich bio diversity and picturesque landscape, this idyllic destination is ideal for photography tour. The traditional weaving skill of women in this village of less than 80 households is unparalleled. It is a skill passed on for generations. Textiles sourced from this village are highly sought after in the country and are generally sold at a premium. The village is popularly known for its intricately patterned silk textile known as the Kishuthara. Kishuthara is generally used as Kiras (traditional dress for women). 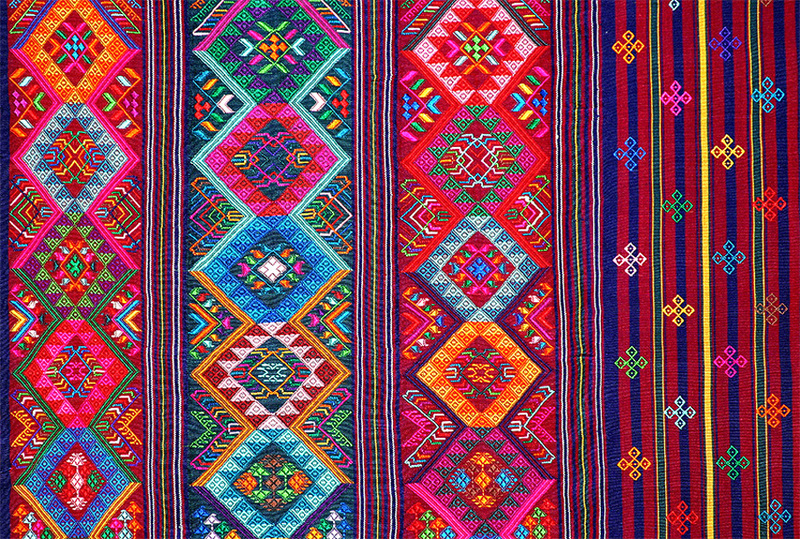 Bags and other products are also produced using this beautiful textile. Weaving Kishuthara takes immense focus and usually takes about a year or two to finish a piece. This exclusive ability to produce such beautiful textiles has accelerated the improvement in living standard of the village as compared to other community in the district. 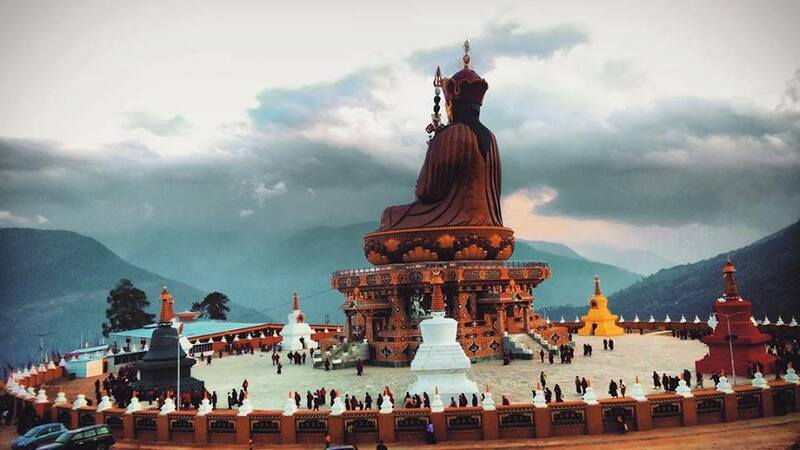 The 157 feet bronze statue of Guru Nangsey Zileon sits atop a hill in Takila in Lhuntse District. The statue is approached by a gradual ascent of motor road built navigating through the community paddy fields and traditional houses. The approach is as scenic as the destination, especially when the terrains are transformed into a golden color paddy field. Upon arrival at the site, the meticulously sculpted statue greets the visitors and the view of the valley below is quite spectacular. The statue was built as prophesied to promote stability, peace and prosperity in the country and around the world. The giant statue houses a three storied temple. Since its consecration, it has attracted local and foreigner devotees to the site which has helped the community boosts its economy. Few farmhouses have started a bed and breakfast service offering travelers an authentic overnight stay experience in this quaint village. 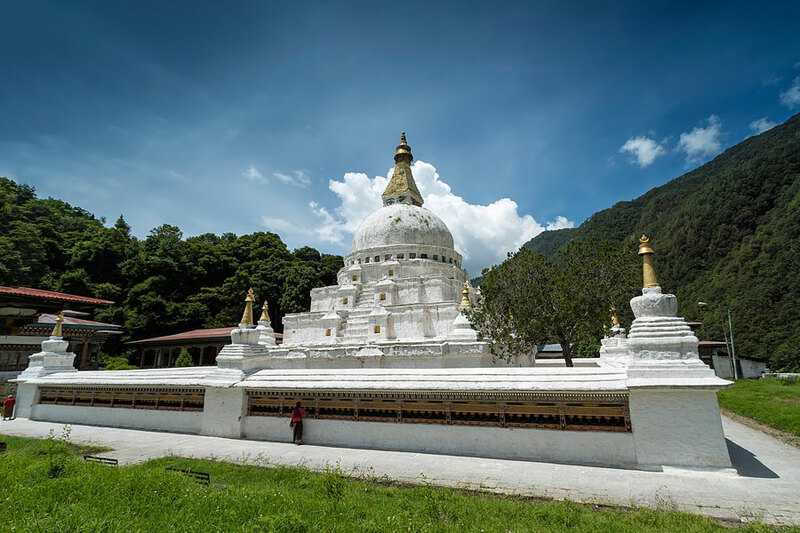 Located in Tashi Yangtse District, the monument is believed to be a replica of the Boudhanath temple of Nepal. An annual event known as the Dakpa Kora is held at this temple where locals from across the country and people from Arunachal Pradesh visit the place to circumambulate. According to legend, a Dakini from Arunachal Pradesh entombed herself inside the temple to meditate for all sentient beings. The Dakpa Kora is organized in remembrance of this event.